Prince Harry and Meghan Markle will say their "I dos" soon, but before they take a trip down the aisle, TODAY took a moment to chat with a few of her former co-stars. Prince Harry and Meghan Markle will say their "I dos" in just one day, but before they take their trip down the aisle, TODAY took a moment to check in with a few of their special wedding guests. 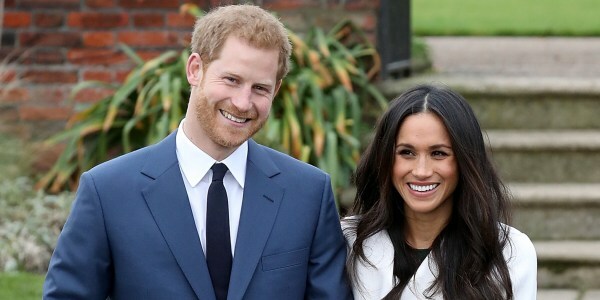 Markle's "Suits" co-stars Sarah Rafferty, Gina Torres and Rick Hoffman have had the chance to really get to know the former actress over the course of seven seasons on their hit show, and on Friday, they opened up about the bride-to-be. "I hope nothing but the best for her," Torres told TODAY. "This is an incredible step in her life, and to bear witness to that is extraordinary." But they've all had a while to get used to the idea. Long before Markle and her betrothed told the world about their romance, she told her "Suits" pals about it. "I got the news early, and I was like, 'You've got to be kidding me,'" Hoffman said. "It was like both of us in the trailer, just kind of like, 'Oh! You're dating a prince?!' You know, I was just like, 'Take it slow, be careful — don't let him hurt you.'" That last bit was deadpan humor, but Torres said they were all serious when it came to keeping tight-lipped about the happy news. "We knew she was excited, and there was reason to keep it close to the vest," she added. Of course, that's just the sort of thing anyone would do for a friend — especially one so close. "We work together for so many years on a show," Rafferty explained. "It was such an amazing experience. We were with each other for longer than we went to college or high school with our friends. We became family in a way — we're still family. So this is a wonderful family affair." Hoffman is grateful to have her in the family, too, since years before Markle's own wedding plans, she helped him out in a pinch at another wedding. "I'll give you an idea (of how great she is)," he said. "So I was in a relationship that didn't work out, and I had to go to a wedding in Paris. ... I was dateless, and Meghan was like, 'Do you want me to come with you?' I was like, 'Yeah, that would awesome.' We had the producer schedule our schedules off. Meghan and I had the best week." But their time together on "Suits" is now over. Markle and her on-screen other half, actor Patrick J. Adams, left the show at the end of last season. "'Suits' continues, and (their characters) Mike and Rachel are really still there — their spirits are still there," Rafferty said. "They were really the major artery of the show, and now we have to sort of regenerate another artery," Hoffman added. "We're working on it." Meghan Markle through the years, from homecoming queen, to Prince Harry's bride-to-be. See more from the stars of "Suits" when season eight returns to USA Network in July — or tune into the royal wedding with TODAY Saturday morning and possibly catch a glimpse of the gang at the big event.